New Ford Focus & Kia Ceed vs Skoda Octavia | What Car? Proving once again what a close test this is, we have a veritable panoply of top-notch driving positions to pick apart. 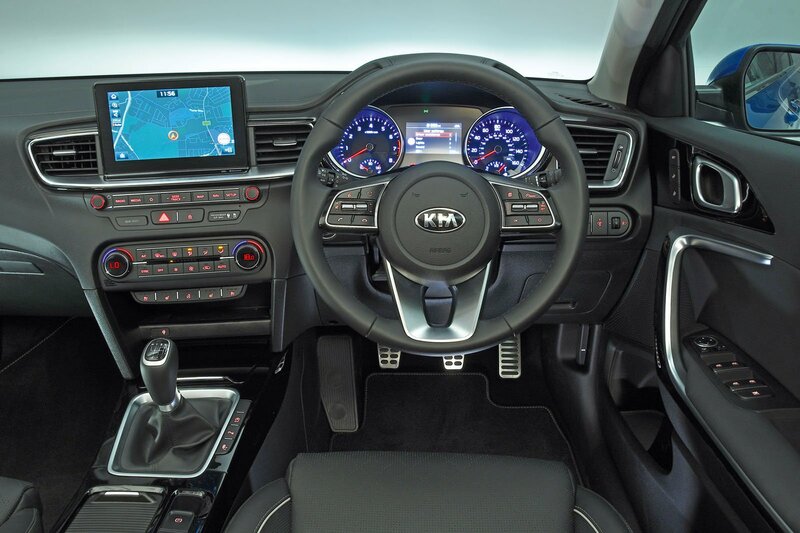 All three offer a wide range of steering wheel and seat adjustment, including for lumbar support. 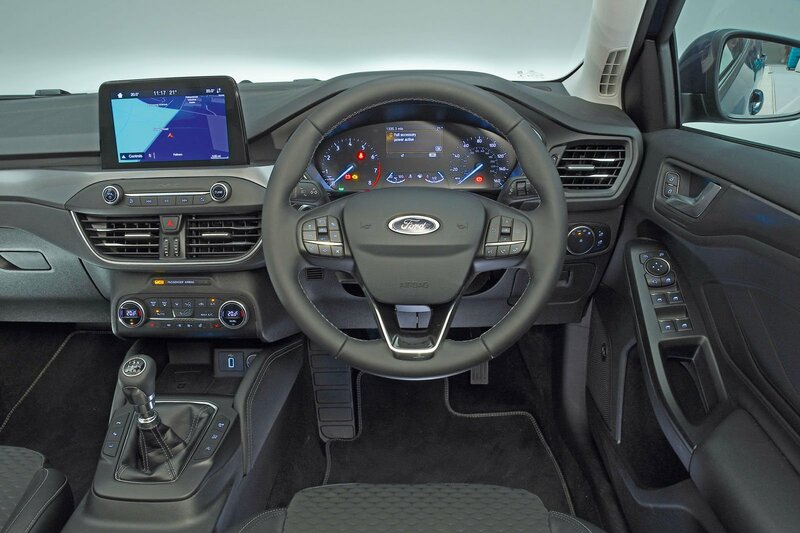 In the Focus, adjustability extends to six-way powered operation of its driver’s seat. Although seat comfort, in terms of contours and cushioning, is one of the most subjective elements of any test (it depends largely on your shape), all of our testers agreed that the Octavia’s wide, firm cushion is the most supportive over long distances. The Focus’s seat is best at holding you in place through corners, while the Ceed’s is good but not quite as proficient in either respect. For simplicity of use, it’s hard to argue against the Octavia’s dashboard; its large, clearly labelled buttons sit no farther than a small elbow extension away. However, both the Focus and the Ceed are convincingly organised too. This includes their instrument panels, which, like the Octavia’s, are decipherable at a glance, with a flood of additional information (trip, media, phone and so on) provided by a digital screen tucked between two analogue dials. While you can see easily out the front of all three cars, none is great for over-the-shoulder visibility; blame their thick rear pillars. That’s why parking aids are so useful, and all of our protagonists get rear parking sensors, with the Focus putting parking sensors at the front, too. However, only the Ceed gives you a rear-view camera as standard; that will cost you £500 on the Focus (as part of the Convenience Pack, which also includes door-edge protectors that spring out as you open its doors) and £380 on the Octavia. 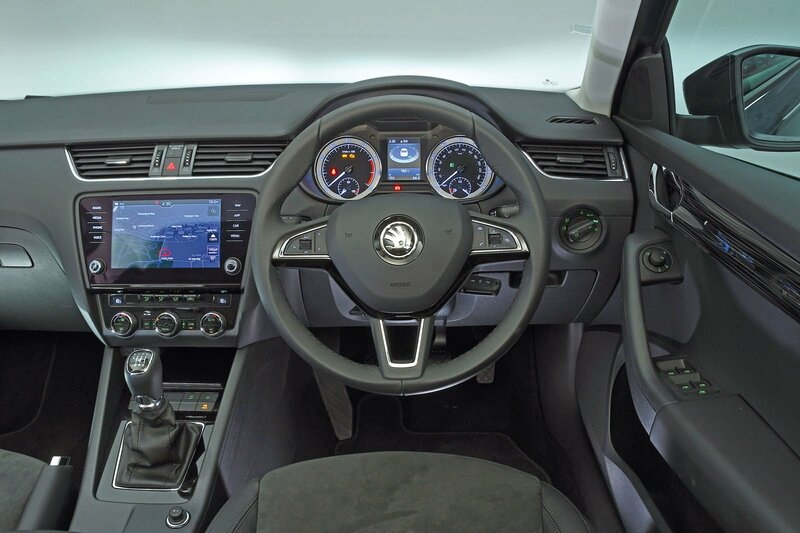 Interior quality is the easiest aspect to call, with highest marks going to the Octavia. Sure, the design is unlikely to make you go weak at the knees, but the surfaces look and feel the most plush and seem screwed together the most robustly. 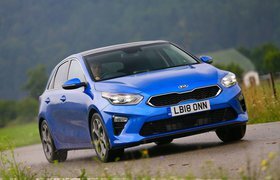 The Kia is next in the pecking order; only elements such as its electronic handbrake button, which looks as cheap as a towelling tracksuit, let down its otherwise tidy fit and finish. Compared with the previous Focus, this new model is a step on – but only a small one. You quickly notice the ill-fitting interior panels and an array of cheaper-looking plastics and ponder whether the printed trim strip across the dash was meant to represent metal. It’s a real missed opportunity, it must be said.